How Our Technicians Solve These 4 Common Issues | McKee-Horrigan Inc. Some things in life are meant to be relied on. Every morning, you expect your alarm to off exactly when you anticipate – otherwise, you could end up dozing through the work day, and no one wants to deal with that (least of all your clients or your supervisor!) We trust our fridge to keep our foodstuffs nice and cold so that we don’t have to deal with fallout like food poisoning. Well made, reliable products generally earn this trust by cooperating with us and fulfilling the tasks we lay at their feet. 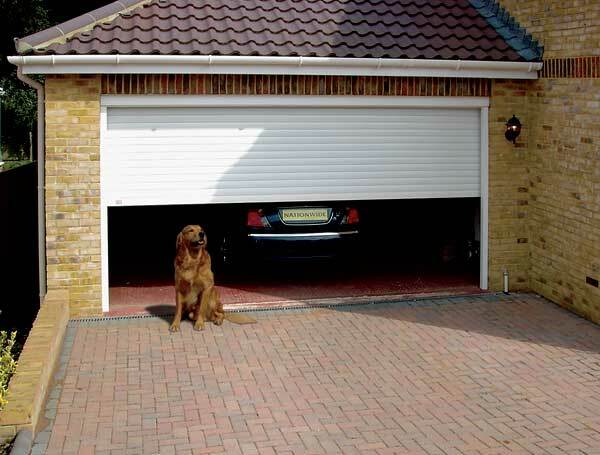 One of the things that we trust to just work without a problem whenever we need them are our garage doors. If you’re ever in a hurry, or you rely on your garage as a storage unit or a safe place to keep valuables, you’d probably be horrified if there was a sudden incident. It might be enough for you to grab a wrench and a pair of gloves and head out to the garage. Stop right there! Garage door repair is something for the pros! At McKee-Horrigan Inc., we’ve looked at hundreds of doors – and we have likely seen your exact problem before. In fact, here are some of the most common issues that crop up in residential garage doors – and a look at how we fix them. One common issue is that you go to close your garage door, but it stubbornly springs back up. When you have expensive things in your garage or just want to make sure your home is secure, it’s a very frustrating thing. Homeowners can sometimes try to take matters into their own hands out of this frustration, when calling in garage door repair experts is a much smarter move. Here are some of the things that could potentially be wrong if your garage door keeps on opening up, despite your polite requests for it to “just close, already!” The sensors could mistakenly be suggesting something is there, and the door is simply trying to protect you – or the door could be misaligned. By calling in the technicians, we can determine which is the issue and quickly solve it. Fixing the sensors takes expertise, but is relatively straightforward. Meanwhile, a misaligned door can require some serious work to get the pieces back on track and solve any issues that cropped up from the time out of alignment. When things are going well, we say they run smoothly. When they are going bad, we say we’re having a “rough” time. The same thing applies to our garage door. When you open your residential garage doors, try listening hard – or keeping an eye out. You’ll probably notice that it runs very smoothly. Therefore, when you notice jerky motions or the door seemingly struggle up on the tracks, or a loud noise that draws your attention, you might worry. Don’t panic – there’s a solution. Regular garage door repair either stops these issues from manifesting in the first place, or quickly solves them once they occur. Just get on the line with your technician and you can rest assured help is on the way. Sometimes all that is needed is an oiling, and other times the systems need to be adjusted or aligned. Other times, a part needs to be replaced. These are all serious jobs that put a homeowner at risk, but a technician can easily fix. Technical Errors: Can I Solve Those Myself? Let’s say that you’re a handy sort with your PC, or you can take care of a problem with the Blu Ray player without any issues. But does that mean that you can tackle your garage door repair issues as well? A door not opening when you push a button can be solved with a battery replacement sometimes, and it’s worth switching out your remote’s batteries for a fresh set. But if these simple solutions just don’t stick, under no circumstances should you decide to take care of it yourself. The safety photo eyes on your opener might be out of alignment, or there could be a technical issue you’re not seeing. Garage door technicians can quickly identify and align your systems without anyone being put at risk. A frayed cable is something that a homeowner should never even think about handling themselves. What are the stakes? 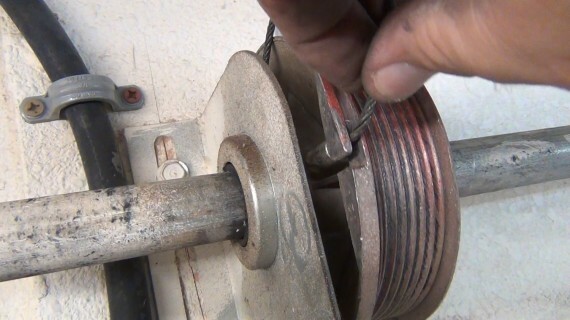 The torsion spring and cables that control the door’s mechanisms hold an incredible amount of tension within them, and that tension suddenly being released can lead to serious injury or even death. While garage door technicians are well trained and equipped to handle this, a homeowner is putting their life at risk. No amount of DIY cred is worth this incredibly dangerous task. Simply pick up your phone and punch in our number; that’s all the effort you have to put in, and we’ll take care of the rest. Clean Up Jobs: Can I Handle Those Myself? These common clean up jobs may be the two things a homeowner can handle themselves – although larger scale aesthetic changes, like having the door re-painted, can actually have a major impact on your door and require our services. However, if you notice one of these two things, that is one thing you can feel free to do yourself. The oil coating on torsion springs can occasionally leave a black residue on the garage door that’s a touch unsightly. Simply wash your doors once a year and you can expect the residue to be gone. Save the date on your calendar, and you can spend the next 365 days without a care in the world regarding residue build up! The bottom of your door can pick up the salt or cleaning product used to make your driveway clean or non slippery. Simply wash the stains away with soap and water, just like you would something inside your home, and things will look as good as new before you know it. At McKee-Horrigan Inc., we’ve been serving the residential garage doors of Mississauga homeowners for decades. Whatever problem you’ve encountered will be old hat to us. Take the time off and simply call us in to take care of the issue instead. Not only is it less stressful, more reliable, and faster – but you’ll be removing a major element of risk. Put yourself first and call in the pros instead. For a free quote, give us a call at 1 888 244 4171.